A Marion woman with outstanding warrants was arrested and charged after deputies located over four grams of meth in her car during a license checkpoint, authorities said Wednesday. Deputy Aaron Vallini of the McDowell County Sheriff’s Office charged Holly Rose Suttle, 35, address listed as Sugar Hill Road in Marion, with possession of methamphetamine. 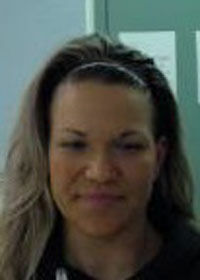 She was also served with outstanding warrants for probation violations and shoplifting concealment of goods. At 12:31 a.m. on Monday, March 25, deputies were conducting a traffic checkpoint at the intersection of Lytle Mountain and Nix Creek roads and noticed a car slow down and pull into a driveway. Vallini investigated, found Suttle driving and learned that she had outstanding warrants. A search of the vehicle by deputies and K-9 Kessy turned up 4.3 grams of methamphetamine. Suttle’s bond was set at $70,000.